The last election was in India was in 2009 and the use of social media throughout the country wasn’t a regular occurrence. India today boasts 93 million Facebook users and 33 million Twitter accounts, which are some of the highest through Asia. Since the rise of social media over the past 4 years, many political parties have pushed forward their online presence had haven taken their campaigns online engaging their audiences through different social media platforms. 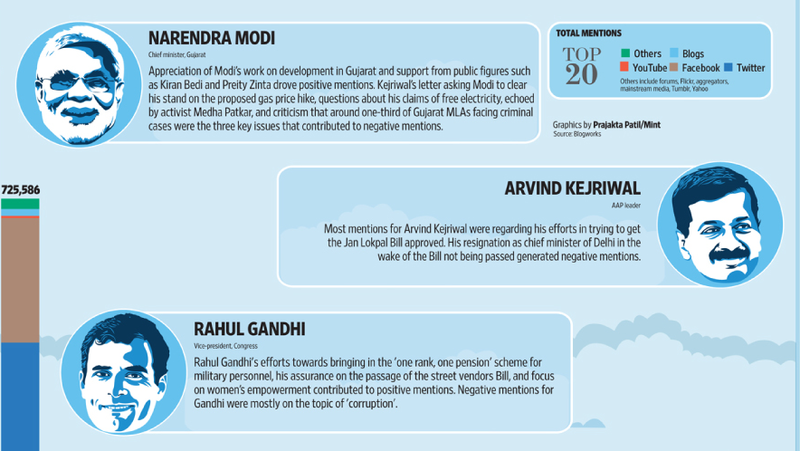 The 2014 election saw a revolution in the way political parties rolled out their campaigns and it was interesting to see how each of the different candidates utilised the power of social media to boost their popularity throughout the country. 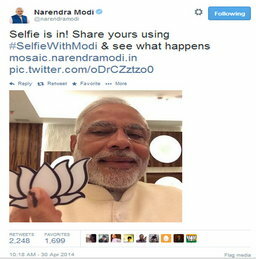 When you search anything related to the Indian election, the thing that stands out the most is that Narendra Modi won the social media war throughout the election campaign. It was reported that Modi was mentioned on Twitter an estimated 33,000 times a day and the announcement of Modi’s victory and his tweet promising a better India after the election was retweeted 69,872 times.